There has never been a better time to buy and drink red Burgundy. Yes, prices for the top wines continue to escalate at an eye-popping pace, but just after the few names everyone seems to want the region is literally awash with bottles that can be had without taking out a second mortgage. 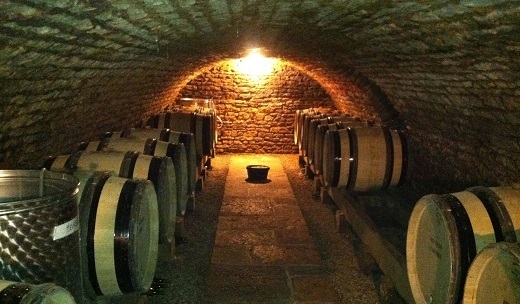 Burgundy has seen three genuinely compelling back-to-back vintages in 2008-2010. Although both 2008 and 2010 are more classic years, the 2009s have attracted the most attention. It is easy to see why. The wines are radiant, generous and exceptionally beautiful. Late last year and earlier this year I had the opportunity to taste a number of finished wines from bottle. It was great to go back to the 2009s after I had tasted them earlier in 2011 just prior to bottling. Overall, I found the young wines are confirming the full potential I sensed when I first tasted them from barrel. I continue to believe that the sweet spot in 2009 is at the entry-level, where so many wines outperform their relatively humble appellations. There is a bit of a flattening of the qualitative hierarchy as one moves through the top village wines and into the lesser premier crus before the normal order of things reasserts itself with the top premier crus and the grand crus. One of the criticisms of the vintage has always been that the wines don’t sufficiently reflect terroir. That may have been true at the outset, but as time passes the wines are showing increasingly more site-specific character. Among the top premier crus and grand crus, I found a number of wines that are beginning to close down, something that is quite positive for the future. For more information on the vintage and producer commentaries, readers will want to consult my reviews of the 2009s from bottle published in May 2011, as well as the video interviews with growers posted in our site I tasted the wines in this article during a two week trip in Burgundy in late November/early December 2011, and followed up with additional tastings in my office in New York. Given the minuscule quantities of most of these wines, some producer listings are a little less complete than they typically are when I review the wines from barrel, which is simply a reflection of a lack of bottles in producers’ cellars rather a statement of quality on my part.